USES: Levodopa and carbidopa are used in combination to treat the symptoms of Parkinson's disease or Parkinson-like symptoms (e.g., shakiness, stiffness, difficulty moving). Parkinson's disease is thought to be caused by too little of a naturally occurring substance (dopamine) in the brain. Levodopa changes into dopamine in the brain, helping to control movement. Carbidopa prevents the breakdown of levodopa in the bloodstream so more levodopa can enter the brain. This can reduce some of levodopa's side effects such as nausea and vomiting, and it may also allow your doctor to increase your levodopa dose more quickly to find the best dose for you. This combination may be used alone or with other drugs for Parkinson's disease. HOW TO USE: Take this medication by mouth, usually 3 to 4 times a day or as directed by your doctor. If you have been taking levodopa without any carbidopa and are taking this combination for the first time, wait at least 12 hours after your last levodopa dose before starting this medication. You may want to start your first dose in the morning. Your doctor will usually reduce your levodopa dose when starting this combination to prevent side effects from too much dopamine. Be sure to follow your doctor's instructions closely. This combination comes in different strengths with different amounts of carbidopa and levodopa in each tablet. Be sure you have the correct strength of both drugs. Your doctor may also prescribe carbidopa alone to be taken with this combination. Taking this medication with a light snack may decrease nausea, however, avoid high-protein snacks because they may prevent absorption of this medication. Separate your dose of this medication as many hours as possible from any iron supplements or products containing iron (e.g., multivitamins with minerals) you may take. Iron can reduce the amount of carbidopa and levodopa available to the body. Use this medication regularly to get the most benefit from it. To help you remember, take it at the same times each day. Dosage is based on your medical condition and response to therapy. Some people may experience a decrease in the effectiveness of this medication just before the next dose is due. If this occurs and is bothersome, notify your doctor. Do not change your dose of this or any other medication without checking with your doctor first. Do not stop taking this medication without consulting your doctor. Some conditions may become worse when the drug is quickly reduced or suddenly stopped. Your dose may need to be gradually reduced. (See also Side Effects section.) Inform your doctor if your condition does not improve or if it worsens. SIDE EFFECTS: Dizziness, nausea, vomiting, trouble sleeping, and headache may occur. If any of these effects persist or worsen, notify your doctor or pharmacist promptly. Remember that your doctor has prescribed this medication because he or she has judged that the benefit to you is greater than the risk of side effects. Many people using this medication do not have serious side effects. This medication may cause your urine, sweat or saliva to turn red, brown, or black. This is harmless, but your clothes may become discolored. Tell your doctor immediately if any of these unlikely but serious side effects occur: greatly increased eye blinking/twitching, irregular heartbeat, fainting, mental/mood changes (e.g., confusion, depression, hallucinations, thoughts of suicide), worsening of involuntary movements/spasms. Tell your doctor immediately if any of these rare but very serious side effects occur: easy bleeding/bruising, signs of infection (e.g., fever, persistent sore throat), tingling of the hands/feet, vision changes (e.g., blurred/double vision). Seek immediate medical attention if any of these rare but very serious side effects occur: chest pain, seizures, vomit that looks like coffee grounds, black/tarry stools. Abruptly stopping or reducing the dose of this medication may rarely cause a serious (sometimes fatal) condition (neuroleptic malignant syndrome). Seek immediate medical attention if any of these rare but very serious side effects occur: fast/shallow breathing, confusion, severe dizziness/fainting, high fever, unusual muscle stiffness, unusual sweating. For males, in the very unlikely event you have a painful or prolonged erection (lasting more than 4 hours), stop using this drug and seek immediate medical attention or permanent problems could occur. A very serious allergic reaction is unlikely, but seek immediate medical attention if it occurs. Symptoms of a serious allergic reaction include: rash, itching/swelling (especially of the face/tongue/throat), severe dizziness, trouble breathing. This is not a complete list of possible side effects. If you notice other effects not listed above, contact your doctor or pharmacist. In the US - Call your doctor for medical advice about side effects. You may report side effects to FDA at 1-800-FDA-1088. In Canada - Call your doctor for medical advice about side effects. You may report side effects to Health Canada at 1-866-234-2345. PRECAUTIONS: Before taking this medication, tell your doctor or pharmacist if you are allergic to carbidopa or levodopa; or if you have any other allergies. This product may contain inactive ingredients, which can cause allergic reactions or other problems. Talk to your pharmacist for more details. This medication should not be used if you have certain medical conditions. Before using this medicine, consult your doctor or pharmacist if you have: certain eye problem (narrow-angle glaucoma). Before using this medication, tell your doctor or pharmacist your medical history, especially of: bleeding disorders, breathing problems (e.g., asthma, emphysema), certain eye problem (wide-angle glaucoma), heart or blood vessel problems (e.g., arrhythmias, heart attack, angina), kidney disease, liver disease, mental/mood disorders (e.g., depression, schizophrenia), peptic ulcer, seizure. This drug may make you dizzy or cause blurred vision. Do not drive, use machinery, or do any activity that requires alertness or clear vision until you are sure you can perform such activities safely. Avoid alcoholic beverages. To minimize lightheadedness, get up slowly when rising from a sitting or lying position. Before having surgery, tell your doctor or dentist that you are taking this medication. This medication should be used only when clearly needed during pregnancy. Discuss the risks and benefits with your doctor. Levodopa may pass into breast milk and affect milk production. Consult your doctor before breast-feeding. DRUG INTERACTIONS: See also How to Use Section. Your healthcare professional (e.g., doctor or pharmacist) may already be aware of any possible drug interactions and may be monitoring you for it. Do not stop or change the dosage of any medicine without checking with them first. This drug should not be used with the following medication because a very serious interaction may occur: tetrabenazine. 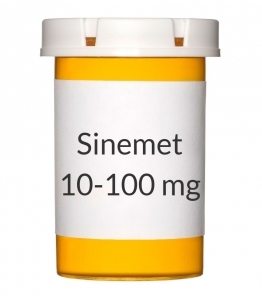 Avoid taking MAO inhibitors (isocarboxazid, linezolid, methylene blue, moclobemide, phenelzine, procarbazine, tranylcypromine) within 2 weeks before, during, and after treatment with this medication. In some cases a serious (possibly fatal) drug interaction may occur. Certain MAO inhibitors (selegiline, rasagiline) may be used cautiously with close monitoring by your doctor. If you are currently using any of these medications listed above, tell your doctor or pharmacist before starting carbidopa/levodopa. If you are taking selegiline or rasagiline for Parkinson's disease, ask your doctor if you should continue taking it. Before using this medication, tell your doctor or pharmacist of all prescription and nonprescription/herbal products you may use, especially: other drugs to treat Parkinson's disease (e.g., all levodopa-containing products, benztropine, entacapone), medicine for high blood pressure (e.g., guanethidine, methyldopa, reserpine), antidepressants (e.g., tricyclics such as amitriptyline/nortriptyline), antipsychotics (e.g., chlorpromazine, thioridazine, risperidone), metoclopramide, phenytoin, papaverine, certain sedatives (e.g., benzodiazepines such as chlordiazepoxide/diazepam), tryptophan (e.g., l-tryptophan, oxitriptan). This medication may interfere with certain laboratory tests (including urine catecholamine/glucose/ketone tests), possibly causing false test results. Make sure laboratory personnel and all your doctors know you use this drug. This document does not contain all possible interactions. Therefore, before using this product, tell your doctor or pharmacist of all the products you use. Keep a list of all your medications with you, and share the list with your doctor and pharmacist. NOTES: Do not share this medication with others. Laboratory and/or medical tests (e.g., blood count, heart/kidney/liver function) may be performed to monitor your progress. People with Parkinson's disease may have an increased risk for developing skin cancer (melanoma). Tell your doctor promptly if you notice a change in the appearance or size of moles or other unusual skin changes. Ask your doctor if you should have regular skin exams. STORAGE: Store at room temperature between 59-86 degrees F (15-30 degrees C). Store in a tightly closed container away from high heat, moisture, and light. Levodopa may turn a darker color when not properly stored. If this occurs, it may not work as well and may need to be thrown out and replaced. Consult your pharmacist for more information on what to do if the medication changes color. Do not store in the bathroom. Keep all medicines away from children and pets. Do not flush medications down the toilet or pour them into a drain unless instructed to do so. Properly discard this product when it is expired or no longer needed. Consult your pharmacist or local waste disposal company for more details about how to safely discard your product.